An evening to gently begin the journey, with experiences of the Heart Light Blessing and background on the Heart Light Phenomenon. A day of awakening and intense deepening, consisting of powerful processes for Awakening and giving and receiving 64 hands on Heart Light Deekshas. Prepare to be taken on a beautiful journey, unique to your own nature, where you will come into direct contact and personal relationship with your higher power - a Divine presence, which is alive, conscious, and full of intelligence and love. It is a weekend of processes, blessings, music, and meditations to help you leap beyond the expectation, including specific blessings to set right relationships, heal past hurts and bring you into contact with the true nature of your own greatness. Participants will also be initiated as Heart Light Deeksha Givers enabling you to share the Heart Light Blessing with others. 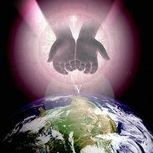 Experienced Blessing Givers will be taken to even deeper states of consciousness. 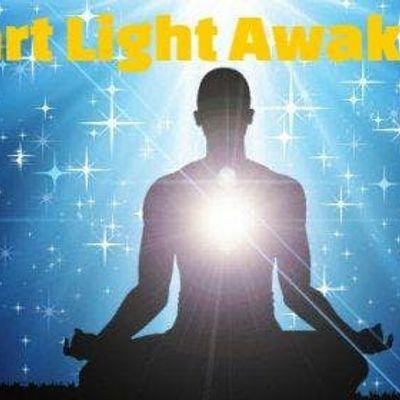 Heart Light Meditation and Blessing is not a religion or set of beliefs, but is a phenomenon in consciousness which has been revealed to humanity at this critical time in our evolution. The essence of the Heart Light phenomenon is that it is the birthright of each and every one of us to live in total and unconditional freedom, in a state where a person perceives reality as it is, thereby experiencing the causeless joy, love, and happiness which is the natural condition of the human being. This realization of Oneness, previously reserved for only the awakened saints and sages, is now available to everyone who has a genuine passion for it. Advance registration and/or notification is absolutely required. Please reserve early ~ space is limited! This life changing course will be conducted by Founders of Heart Light Meditation and the Heart Light Initiators. These amazing Heart Light Beings will be in attendance to help facilitate this beautiful process and journey into Awakening and Divine-Realization! Join us for this life-changing event! Due to space requirements, advance registration is absolutely required. ** This course is expected to sell out early; registration is first come/first serve. DIY Doormats with Haungs Calligraphy!